Nautical Elements add a touch of the sea to great Coastal rooms. We love the blue and white stripe upholstered cushions with extra thick welt on the day beds, they look super comfy. 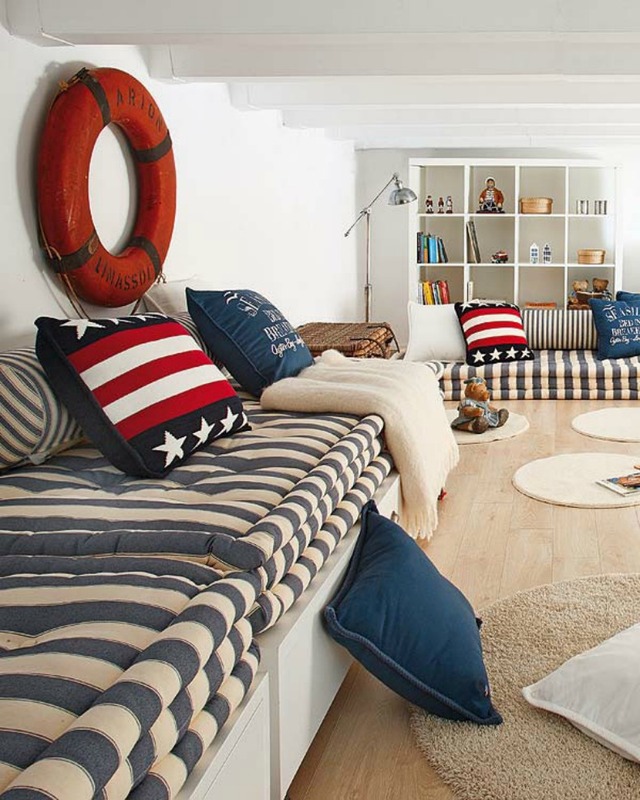 Navy and white is classic Nautical design and is always a beautiful combination. These square arm sofas are gorgeous in white with contrasting navy welt and color blocked white with navy throw pillows. This color combination is sleek and clean. 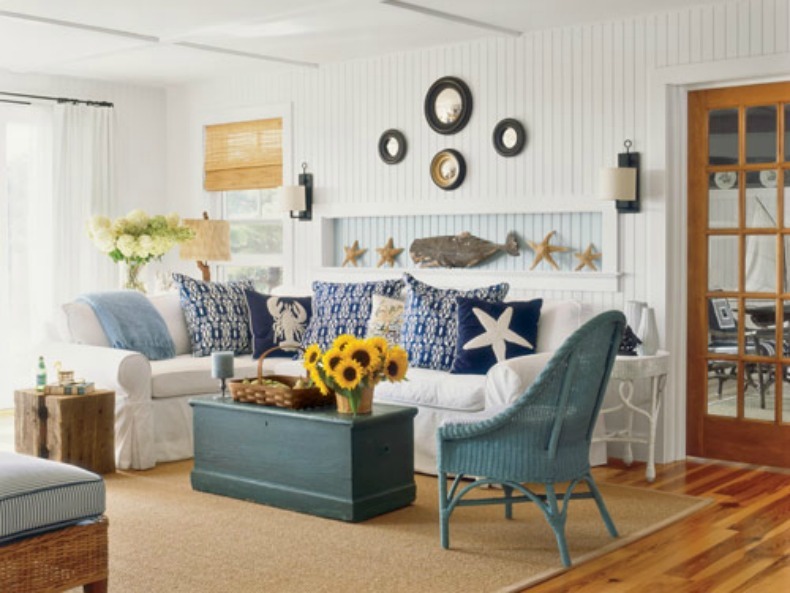 White slipcover sofas are a staple in Coastal design, add blue and white pillows and you have a sure Nautical hit. Starfish tipped on a shelf and the wooden whale give just the right touch of the sea. 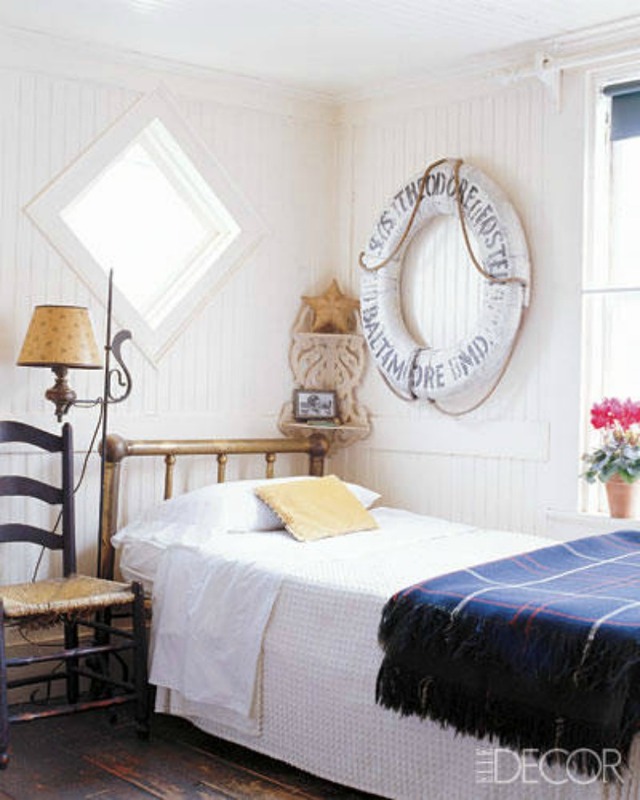 White wooden walls and white bedding with navy plaid blanket laid at the end of the brass bed is simple coastal design. 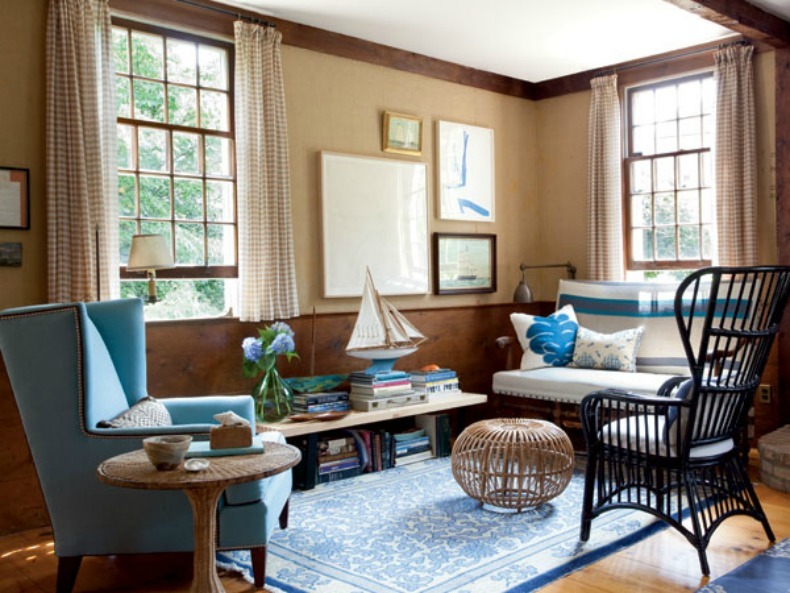 Touches of aqua mixed with dark wicker and natural tones give this room an Eclectic Nautical feel. Blue and white stripe upholstered cushion day beds.